Join Our Wine Club and enjoy mountain made wine all year round! Either way, you will be getting a taste of mountain wine from the heart of our town, to yours. AUTOMATIC SHIPMENTS: Pre-Scheduled club shipments come right to your door according to your palette preferences if you can not make it to the exclusive pick up party in March, June, September, and December and your card is only charged at shipment. EXCLUSIVE CONTENT: Club Members receive monthly e-newsletters including event schedules, entertainment, reminders for quarterly 3 bottle purchases and food pairing suggestions with their club shipments or pick ups. -Sneak peeks on new upcoming wines and first purchase chance before it hits the public. Club Members and recipients must be 21 years or older must receive shipments in states. See our products for full list of wines. Shipments require adult signature and members must provide shipping address where adult will be present at delivery. Membership continues until canceled and member agrees not to cancel within the first 12 months. 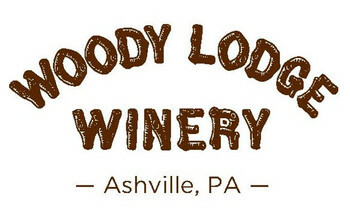 Members agree to accept 1 of 3 wines to be purchased chosen by Woody Lodge Winery from chosen club palette preference. Members must provide notice of changed information or cancellation at least 14 days prior to scheduled shipment dates. *Prices reflect the cost to join. Your quarterly costs will vary depending on the wines selected and shipping costs.